Stem cell therapy is an exciting area of research that holds tremendous potential for helping chronic pain patients reduce their pain. Rapid advances in this field of medicine are buoying doctors’ and patients’ hopes that the exciting therapy could change lives. Advances are being made nearly every day, and as scientists further understand the nature of these cells, even more uses for them are becoming known. If you’ve ever wondered about how stem cell therapy for pain could help you, these 15 questions delve into how this therapy works and who it could be used for. 2. What’s the difference between stem cell therapy and regenerative medicine? 3. What is a stem cell? 4. What are the types of stem cells? There are two major types of stem cells: those harvested from adults and those harvested from embryonic tissues. 5. Where do stem cells come from? One source of stem cells is human embryos. These cells are called pluripotent stem cells, and they’re very useful to researchers because they can be multiplied indefinitely in the laboratory. Although these cells are often cultivated from embryos that are just a few days old, they can also be taken from fetal tissue that’s older than eight weeks, according to the National Institutes of Health (NIH). The majority of therapeutic stem cells come from adults. Even though embryos are the richest source of stem cells, humans of all ages have stem cells. Stem cells give adults the ability to replace damaged tissue, heal wounds, and grow hair. The patient’s own adult stem cells are extracted, purified, concentrated, and then injected into the damaged tissue. This process is usually non-surgical and the individual has very little recovery time. Most patients report only some soreness around the site of the injection. Sometimes there is also slight bruising. There have been no reports of serious side effects from treatments using stem cell therapy. Newer research has given scientists the ability to reprogram specialized adult cells so they essentially return to their original stem cell state. These reprogrammed cells are known as induced pluripotent stem cells. Although this ability exists, scientists aren’t sure how or if these artificially created stem cells behave differently than other types. 6. Why are stem cells important? Stem cells have many uses, and the full spectrum of their application isn’t yet known. One way stem cells are helping researchers is by illuminating the inner workings of various diseases. Stem cells offer scientists the ability to model human disease progression in a laboratory setting. 7. What’s the recent research on stem cells? The application of most interest to chronic patients is likely the emerging field of regenerative medicine, which is the science of helping tissues regenerate. This field examines the potential of stem cells to repair damaged tissue and heal areas of the body — bone and potentially organs, too — affected by arthritis, diabetes, spinal cord injuries, nerve damage, Parkinson’s disease, and more. Exciting research has also uncovered the potential for stem cells to expand the number of lungs available for transplant. A portion of lungs available for transplant aren’t used because they become damaged. However, research from the American Physiological Society has found stem cells could help repair the organs and prepare them to save lives. 8. What are stem cell research pros and cons? For many of the studies underway, time is needed to fully examine the benefits and potential dangers of this treatment. Another obstacle is obtaining specific types of adult stem cells. They’re difficult to grow in the laboratory, making it hard to produce the large numbers available for research. 9. What’s the current governance on stem cell therapy? 10. How does stem cell therapy for pain help? 11. Does stem cell therapy for knees work? 12. What about stem cell therapy for hips? 13. What about stem cell therapy for MS? 14. Can stem cell therapy alleviate back pain? The study is exciting because it involves stem cells harvested from the bone marrow of healthy, young adults, and therefore it doesn’t come with the ethical concerns of embryonic stem cells. So far, the results have been very positive, and a significant number of people who received stem cells for their back pain have experienced reduced discomfort and improved quality of life. This study is currently in Phase III, which is the phase immediately preceding potential FDA approval. This means it could soon be available to many more patients and potentially covered by insurance, although each insurance company’s coverage policy varies. 15. Are people looking into stem cell therapy for arthritis? Absolutely, and the research into this area is very promising. In fact, scientists have recently uncovered the specific type of stem cell most likely to reduce arthritis pain. They’re special cells that are specifically able to rebuild tissue, bone, and cartilage, potentially offering much relief to osteoarthritis patients. What other questions do you have regarding stem cell therapy for pain? If you’re ready to learn more about using stem cell therapy to treat your pain, click the button below to find a pain specialist in your area. ~ do you think there is any hope in treating people with CRPS/RSD with stem cell therapy? I deal with severe chronic back pain and tried everything before going on strong meds, but ended up having to go that route. I have a failed fusion for scoliosis, (pseudarthrosis.) My health is excellent otherwise. Could I be considered for trials in the research? Hi Barbara — Unfortunately we can’t answer specific health questions online. We recommend finding a pain specialist in your area who also does stem cell therapy and talking to them about the possibility of being in a trial. You can find pain specialists at https://paindoctor.com/find-your-pain-doctor/. Hope that helps! Will this stem cell therapy help get rid of pain from fibromyalgia??? Hi Mary — Unfortunately we can’t answer specific health questions online. 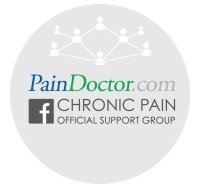 We recommend finding a pain specialist in your area who also does stem cell therapy and talking to them about if it could help with your fibro. You can find pain specialists at https://paindoctor.com/find-your-pain-doctor/. Hope that helps! I had heard that stem cells were the future of medicine and could be used for a variety of uses. You wrote that stem cells can help heal cartilage tears, chronic knee pain, and is also being used to treat conditions in the hips. With the amount of issues it can help treat, it makes sense that people are so interested in seeing stem cell professionals and seeing if it could help resolve their issues. I have had an injury to the femoral bone at the knee with bone edema. It is causing quite a bit of pain, with no relief offered other than rest. I have an appointment with a local pain management Dr soon. Do you think I would be a candidate for stem cell therapy! Hi Mary — We can’t know for sure, but definitely talk to your doctor about the option. Best of luck with your appointment! I have lots of pain from hip and knee and foot. Is stem cell covered by Medicare? Hi Robert — You’ll have to ask your doctor directly about payment questions. Any help with Muscular Dystrophy “FacialScapulaHumeral Dystrophy..ItSelf and the Constant Pain n Fatigue Daily /Nightly..
Hi Billy — Unfortunately we can’t answer specific health questions online. We recommend finding a pain specialist in your area at https://paindoctor.com/find-your-pain-doctor/. Hope that helps! Hi Randy — Not typically but we recommend talking to your doctor directly about payment options. I’m morally opposed to the use of embryonic tissue. Can the cell source be known prior to treatment? I’m 76 and have arthritis in my shoulders, back and knee. I’ve already responded to an advertisement and made reservations to attend a seminar. However, I will cancel if the source of the cells cannot be identified before treatment. Hi Horace — Yes, you can absolutely inquire as to the source of the stem cells. There are non-embryonic options available for some therapies. Talk to your doctor for more information. What is the cost of this process. Hi Gayle — You’ll have to talk to your doctor about specific costs. If you don’t already have one, you can find a doctor in your area through either of these searches: https://paindoctor.com/get-relief-now/ or https://paindoctor.com/pain-management-doctors/. Hello I have a friend who is suffering from chronic pain due to hernia repair with mesh for 4 hernias. He is in alot of pain. Hes got an appointment with pain management but i was looking into stem cell therapy to see if this would be a good option for him. Could stem cells relieve him from the pain and stop the underlying issue. The surgeon said that its the nerve. And on this page it says stem cells help and could even regenerate nerve cells? Could this help? He needs help. Hi Lydia — Unfortunately we can’t answer specific medical questions on the blog. We recommend that he talks to his pain management doctor about any questions he has. first does this mean that the mother gives her permission and the cells are retrieved from the umbilical cord after a live baby is born? is it correct that the stem cells are taken from the umbilical cord after the cord is cut so that the newborn is not utilized? Hi there Lois — Yes, typically the stem cells are harvested after the baby is born and the mother always has to give consent. You can talk more to your doctor about where they source their stem cells from. What are the options for adult stem cells for older adults (generally good health 80 year olds) still effective or must umbilical cord cells most reccomended? Hi Lois — You’ll have to talk to your doctor about your specific case, as we can’t answer personal medical questions online. If you don’t already have one, you can find a doctor in your area through either of these searches: https://paindoctor.com/get-relief-now/ or https://paindoctor.com/pain-management-doctors/. Hope that helps! I saw that this type of treatment could help with Type 1 diabetes and its issues with pain but what about Type 2 diabetes and diabetic neuropathy too. Hi there — You’ll have to talk to your doctor about your specific case, as we can’t answer personal medical questions online. If you don’t already have one, you can find a doctor in your area through either of these searches: https://paindoctor.com/get-relief-now/ or https://paindoctor.com/pain-management-doctors/. Hope that helps! Does this therapy work for plantar fasciitis? I’ve tried cortisone shots, ice, used the boot, use special orthotics and even electric shock therapy….nothing is working!!!!! Hi Kimberly — You’ll have to talk to your doctor about your specific case, as we can’t answer personal medical questions online. If you don’t already have one, you can find a doctor in your area through either of these searches: https://paindoctor.com/get-relief-now/ or https://paindoctor.com/pain-management-doctors/. Hope that helps! Can the area of repair be damaged beyond stem cells ability to heal? I really need to know this for i got stem cell injections 6 months ago in both shoulders and lower lumbar for i feel no improvement. The stem cells were obtained from embryonic tissue. Hi Jack — Unfortunately, you’ll have to talk to your doctor about your specific case, as we can’t answer personal medical questions online. If you don’t already have one, you can find a doctor in your area through either of these searches: https://paindoctor.com/get-relief-now/ or https://paindoctor.com/pain-management-doctors/. Hope that helps!